Download as MP3 or OGG Vorbis. It all started with a love for music — singing in particular. Singing took Christina to the Florida State College of Music where she eventually discovered a new love: Voice Over. While taking a Commercial Music course at FSU, Christina first learned about the Voice Over industry. After breaking into the business in Florida, Christina created her own home studio and moved to New York City where she trained with industry professional and agent Linda Weaver, widely used talent Asa Siegel, and even the current voice of Porky Pig, Bob Bergen. Christina has also continued to sing, performing with the New York Choral Society in venues ranging from Carnegie Hall and Lincoln Center to village squares in Sicily. Whether it&apos;s television and radio commercials broadcast all over the country and the world, animation voice over for Angel&apos;s Friends, or lending her voice to a pair of joke-telling stuffed animals, Christina can do it all. 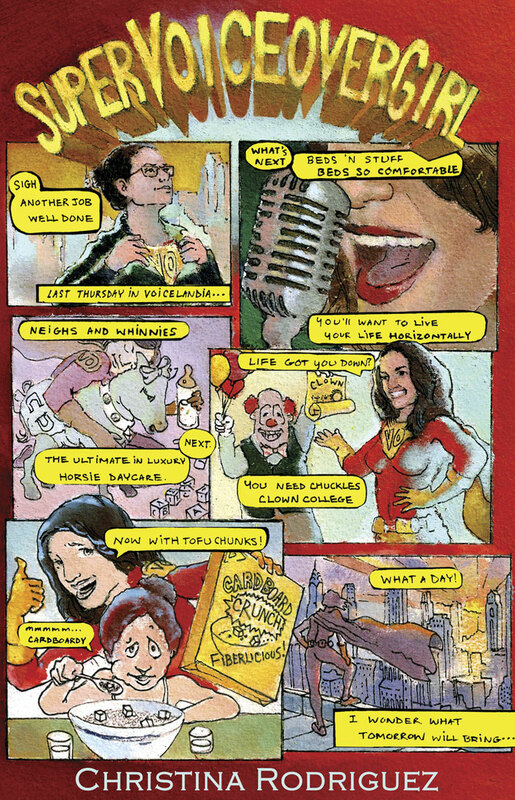 Maybe that&apos;s why they call her… Super Voiceover Girl! Additional clips, updates, and more at Facebook and Tumblr.